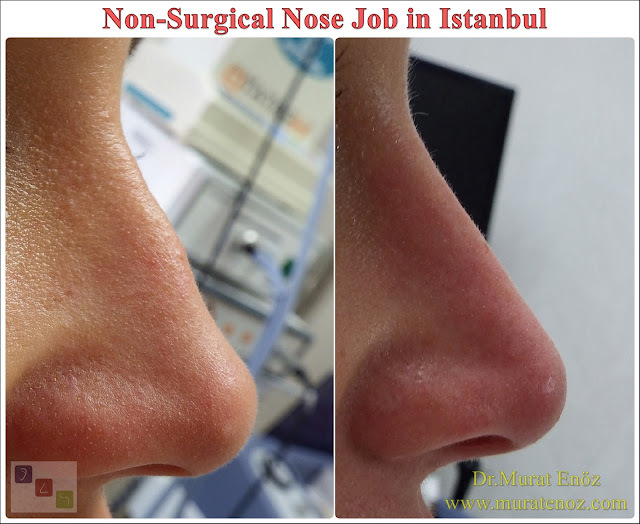 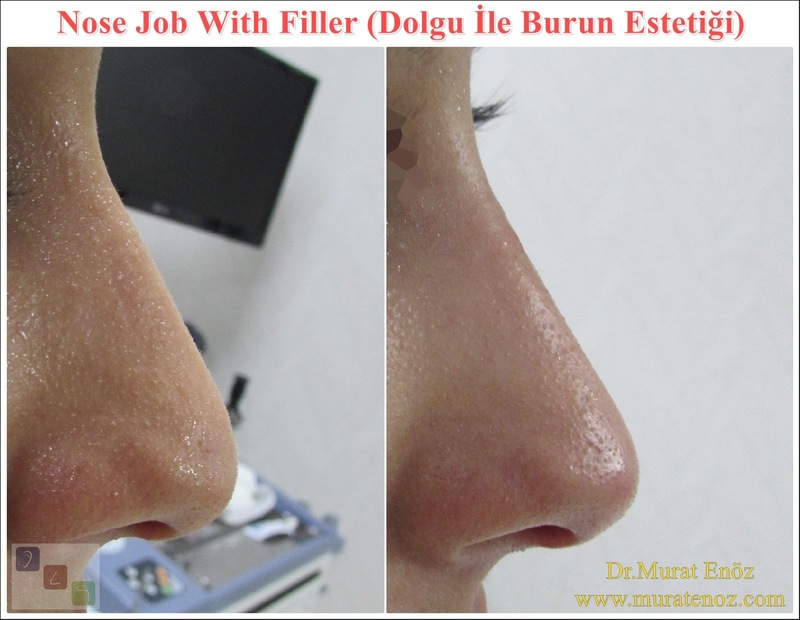 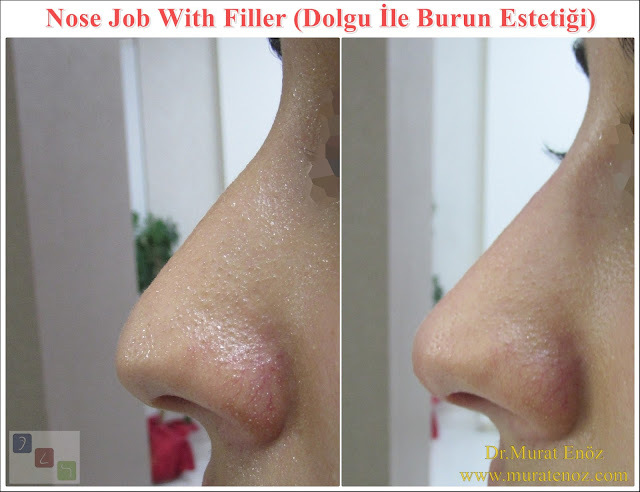 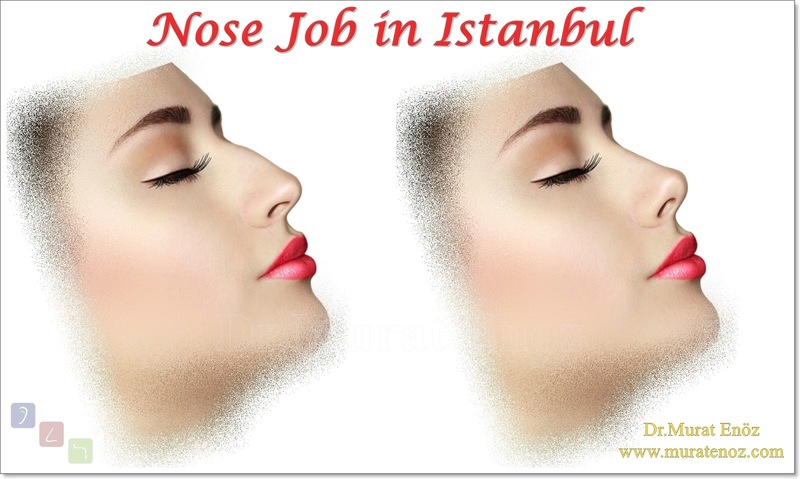 Nose filler application, which is one of the non-surgical nose shaping methods, can be performed under office conditions and the total operation time is usually 5-10 min. 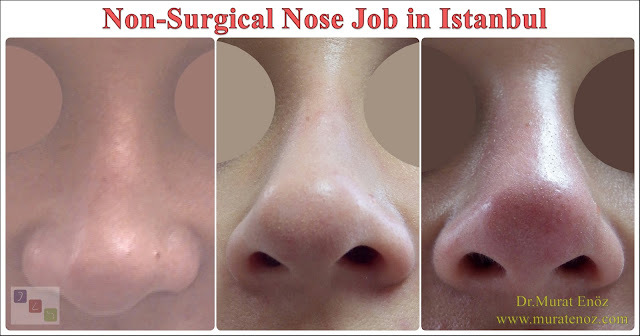 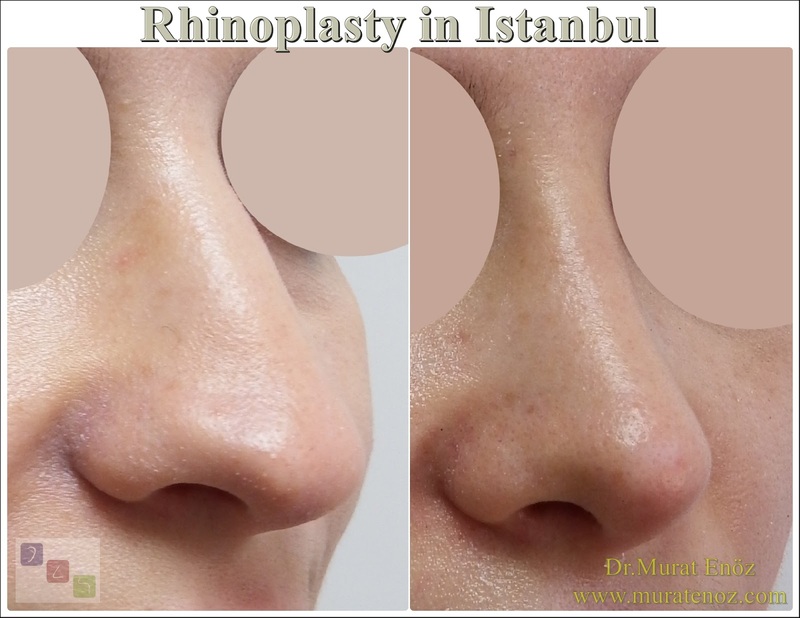 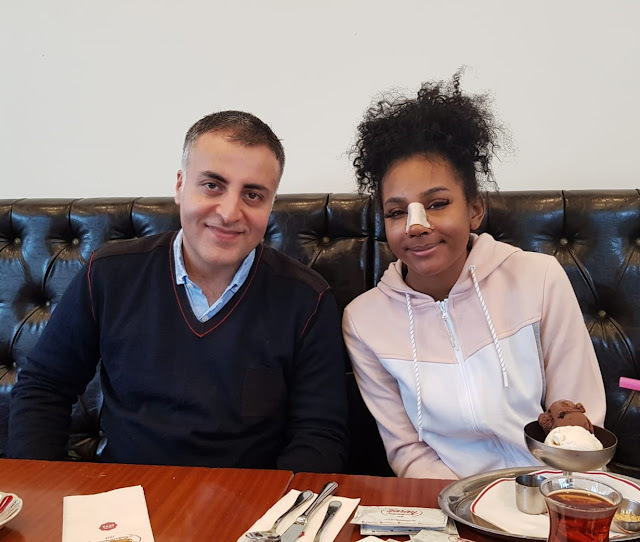 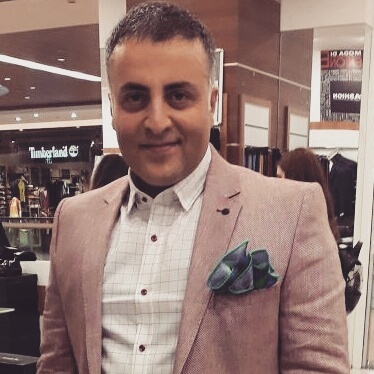 The patient, who had undergone a previous nasal aesthetic surgery, plans to fill the asymmetric area of ​​the left side of the nasal tip and the depressed area on the left side of the supratip area. 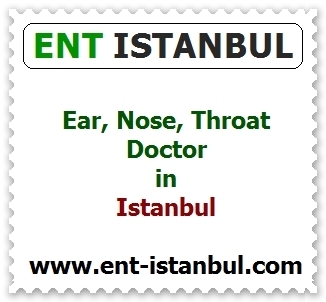 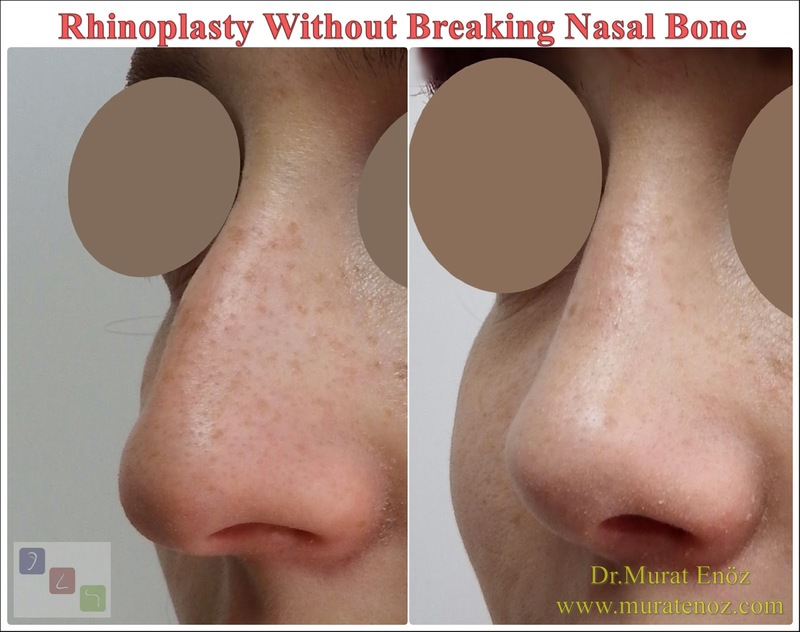 At the beginning of the procedure, the cream containing the local anesthetic is applied to the area and around the nose of the nose and waited a few minutes. Nose filler material can be easily injected into the asymmetrically collapsed site.